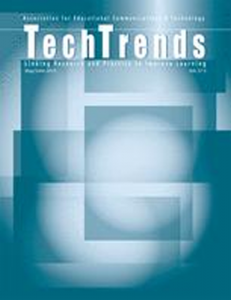 The special issue of TechTrends devoted to the Educational technology program at Michigan State University was recently published. In this issue, readers are treated to various looks at our doctoral and masters programs in educational technology at the program level, course level, and important themes related to educational technology instruction. I was fortunate to be involved in two of the articles published in the special issue, listed below. Both are available through my vita.